Professional boundaries are limits established to support appropriate relationships with clients. We all have clients who push these boundaries by wanting to become “friends”. What are methods that might be used to establish professional boundaries without alienating clients who desire a closer relationship? How might we balance under-involvement that includes distancing and disinterest with over-involvement that includes boundary crossing and violations to arrive at a middle ground where our desire to be helpful and supportive is balanced by our clients desire for personalized attention and a need to feel one-of-a-kind special? How much of our private selves, if any, should we introduce into client relationship? 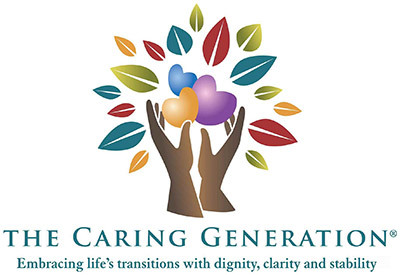 We are professional caregivers as evidenced by our desire to help others. This desire to help poses clear boundary issues with clients who seek attention, who desire to become friends, and who wish for frequent or outside of business hours contact. Our goal is to support our clients to manage on a long term basis, independent of our initial and ongoing efforts to serve as a trusted advisor. What does this mean and how do we maintain a professional relationship? • This means being friendly, not becoming a friend. • This means being present with the client but not personally taking on the problems, concerns, or issues experienced by the client. • This means avoiding the role of a “rescuer,” including feeling that you are the only one who cares or believing that you are the only one able to solve the problem. This also means acting in an ethical manner so as not to compromise your personal reputation or the reputation of the company for whom you work. 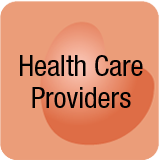 Providers who cross boundaries often experience emotional upset when a client expresses feelings of being poorly served, betrayed or abandoned. When boundaries are maintained, relationships rarely proceed to this level of emotional distress. It is very important to realize when your client has unrealistic expectations about your relationship. Rather than ignoring requests for more than a professional relationship, be certain to clearly establish limits that a dual relationship for example, knowing each other in a personal context outside of a professional context, is not possible. Never accept gifts, no matter how small. Never provide your personal phone number or reveal excessive personal information to a client. Address these concerns quickly if they arise being sensitive to the realization that your client may feel rejected if you refuse gifts or refuse to provide personal information. Know that it is possible to maintain professional boundaries with clients and that doing so may take a concerted effort to act in a consistent manner with all clients, including those you truly like as an individual. You owe it to your clients to provide service in a professional manner as they rely on you as a trusted source of expert support and information. ©2015 Pamela D. Wilson, All Rights Reserved.